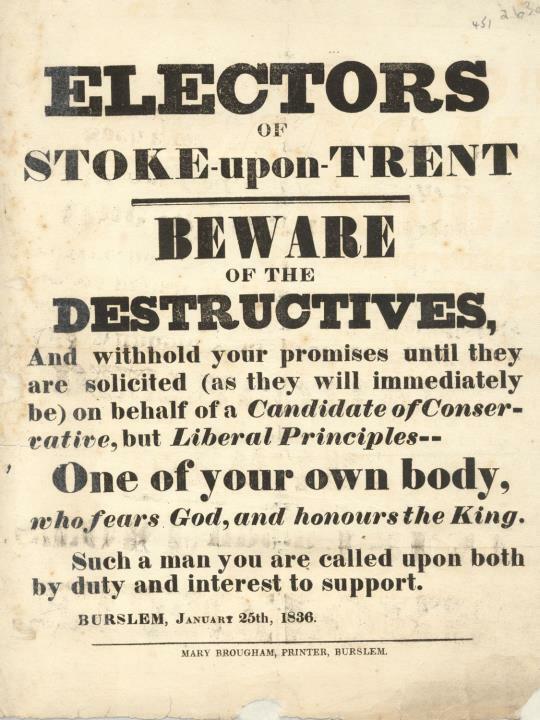 Description:This notice calls upon the electors of Stoke-on-Trent not to promise their votes to any aspiring Member of Parliament just yet. Who should they vote for? The author urges them to wait until they have considered a new candidate of "Conservative, but Liberal principles." The identity of this man is yet to be revealed. The promise is that he will be "one of your own body, who fears God and honours the King." Women have long been actively involved in the printing trade, although they were less often proprietors of their own business. 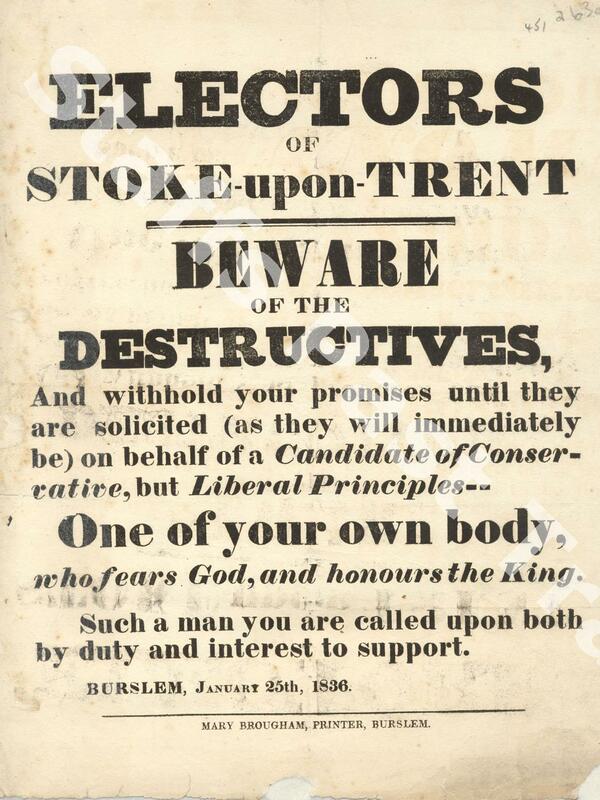 This document, printed by Mary Brougham of Burslem, is now in the collection at Stoke-on-Trent Museums.